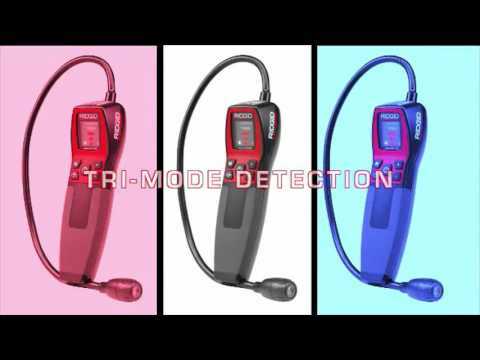 Rated 5 out of 5 by PicRic from Superb multi gas detector that reacts instantly to warn of gas presence. The speed of reaction took me by surprise, it really is instantaneous as you can see for yourself in the accompanying video. It will also detect a wide range of gases and solvents. The first gas the unit detected was butane and the second was propane. The controls are logical, well laid out and easy to use. The addition of a mute button for the audible output is welcomed and the vibrate function is good and strong. Start up and self-calibration takes about a minute and the long flexible sensor is easily positioned and stiff enough to stay put. The plastic body is good quality but the battery compartment cover was very stiff and I had to leverage the clasp using a pair of pliers to get it open. I guess this is because potential sparks from batteries and certain gases don’t mix very well. In other words a safety feature! The readout screen is very clear and the gas detection bars represent detection rates from 40 parts per million (ppm) to 6,400 ppm. There is a CD in the kit containing the operations manual in 22 different languages. The full multi language manual can also be downloaded too. The manual and the gas detector fit snugly inside the protective cover that also has belt loops so the tool is always near to hand. Rated 4 out of 5 by TimG from Good technicians tool I purchased the Rigid Micro CD-100 gas detector to verify and find a natural gas leak. The detector is very sensitive during calibration. You must calibrate in clean air far from a suspected gas source. Once calibrated the gas detector works fine. I moved slowly from suspected source to another. Sampling seamed a bit slow at first but i became accustomed to the sample rate. The unit reports data using 3 senses, visual, audio and vibration. I found the audio and visual very useful. The visual report has multi step bar depending on the concentration. It is correlated to ppm. Rated 4 out of 5 by DOCCO from Great brand Our CD-10 is not working. Where do we get it fixed. Thanks. Rated 5 out of 5 by gibby from very easy to use the product is built very good,and would buy again if it was stolen or lost.it seems to be very fast detecting leaks.the carrying case needs to be longer so you don,t have to bend the sensor cable too much to put it away,ridgid builds very good products. Rated 4 out of 5 by Wolfman390 from Good product for price This product work very good and easy to use except for the battery compartment door. That's why I rated it lower. The compartment door is hard to open and close and therefore may not last long or not latch properly. Rated 5 out of 5 by Kosko from Great tool. Has a perma This is a really nice unit. I do a lot of natural gas fireplaces and run black pipe and flex on many projects. This tool really gives me a piece of mind when I can check my work after turn the gas on in a residence that I've worked on. My coworkers have pricier units and to be honest the Ridgid performs equal if not better. Mine came with the case in a cardboard box. I guess the other version is in plastic and no case. You can really go to the hardware store and pick up a suitable case.